I have always had massive respect and admiration for Jaeger as a brand - it exudes quality and heritage and as a company that has been around since 1884 when so many have come and gone, it must be doing something right. Jaeger have recently opened a new store in London Marylebone and they invited me down to have a look. I didn't know what to expect but the first things that struck me was how colourful, contemporary and modern it was. The products are undoubtedly beautiful and chic, designed to perfection and of a quality that if looked after correctly will last a lifetime. 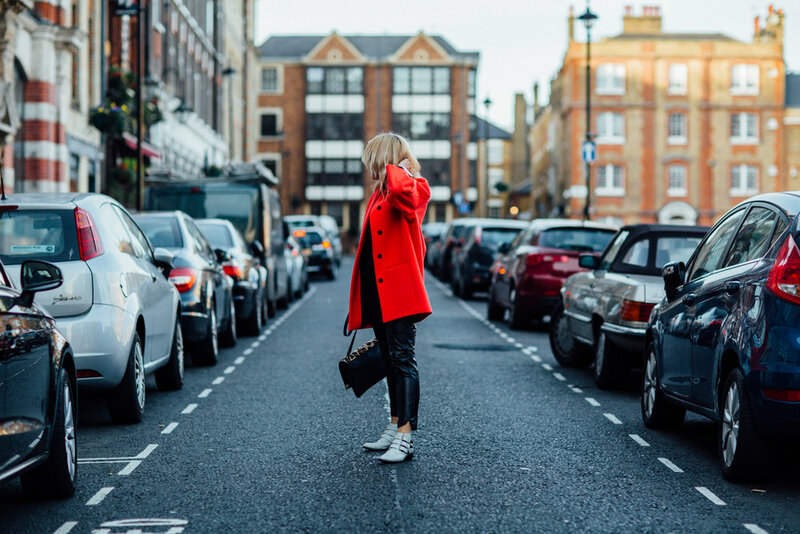 I was immediately attracted to this bright red coat - it is super bright and so well cut, a real statement coat suitable for so many occasions. It is currently only available in the Marylebone store but will be online in a couple of weeks - I will add the link when it is. The other thing I love are these perfect leather trousers, they are definitely an investment but I feel that price per wear would be low because they are so perfect! 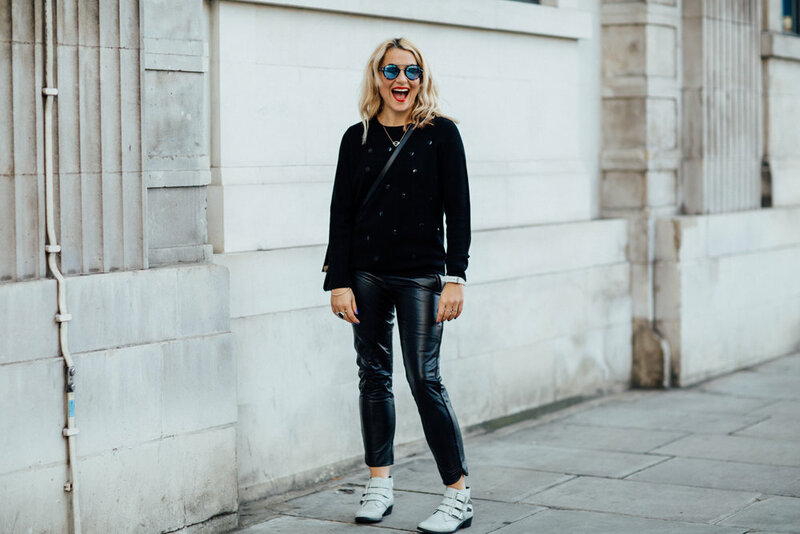 I wore them with this simple black jumper with sequins on it - it's like a subtle Christmas jumper that can be worn all year around, dressed up or down and is just a bit more interesting that a plain black one. 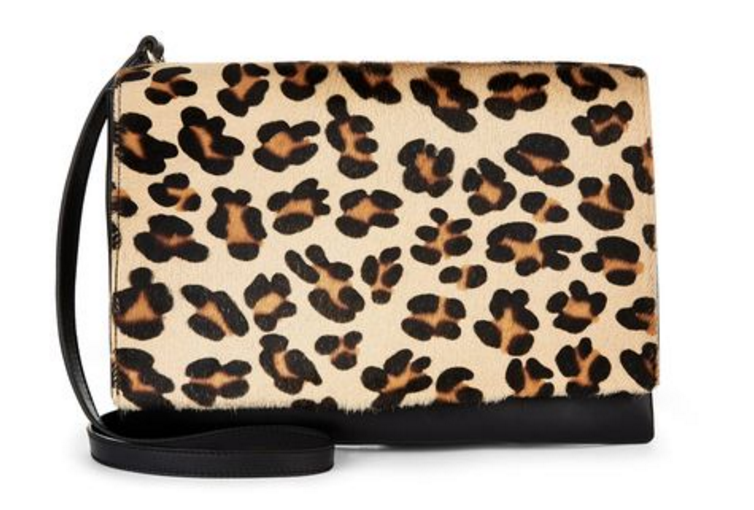 This leopard print cross body bag is another wardrobe staple, the perfect size and you can also tuck the strap in and wear it as a clutch too. My late Grandmother wore Jaeger and she was a very stylish woman. My mother and her are the reason I love clothes so much so being able to wear a brand that has featured in my family for generations really appeals to me and feels good. Jaeger clothes are the the type that have the ability to transform plain outfits into stylish ones and I intend to own more of them! This post was kindly sponsored by Jaeger. My love and respect for them is genuine.